I first heard about Divergent from a girl in my local bookstore when I bought The Hunger Games Trilogy - she said if I enjoyed those books that I would love these and she was right. Several times since then I've meant to buy these books and couldn't find them, quickly loosing track of my mission and buying something else. I was surprised to find out that these books are actually considered teen fiction since everyone who recommended them to me was a fully grown adult, but they are indeed for teens. No shame here, I read them both over the weekend and I loved them, grown-up or not! The main character in both Divergent and Insurgent is a 16 year old girl named 'Tris' which is short for Beatrice. She lives in a futuristic version of Chicago where the inhabitants are fenced in to protect them from the unknown outside and everyone lives in a faction of their choosing, depending on personality traits. 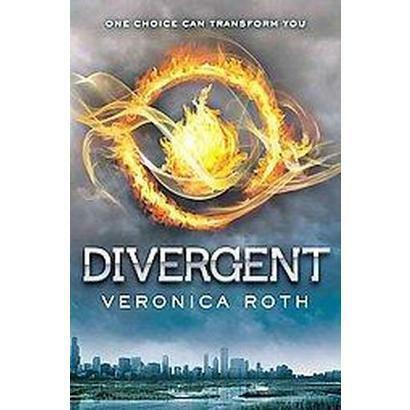 Divergent starts with Tris's preparation for her 'Choosing Day' and she is faced with choosing between her family and the life she's always known or a new life where she may finally fit in with the people around her. Hard choice for a 16 year old. 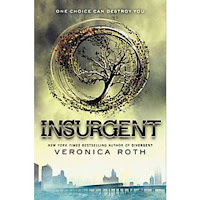 Divergent and Insurgent are quick reads centering around the aftermath of Tris's choice on 'Choosing Day' and how she survives knowing something about herself that she must keep secret if she wants to avoid execution. Of course there's a bit of romance along with political thriller type excitement. I am absolutely chomping at the bit since the 3rd book doesn't come out until October - I can't wait to see what happens next! Many people have said they couldn't possibly read The Hunger Games books because the idea of children being put in a ring to fight to the death is too horrible for them to read about. If that's the case, Veronica Roth's books are a tad lighter in that respect, so certainly suitable for anyone. It may also interest you to know that Kate Winslet, Shailene Woodley and Aaron Eckhart have all signed up for the film version of Divergent that is set to come out sometime next year.